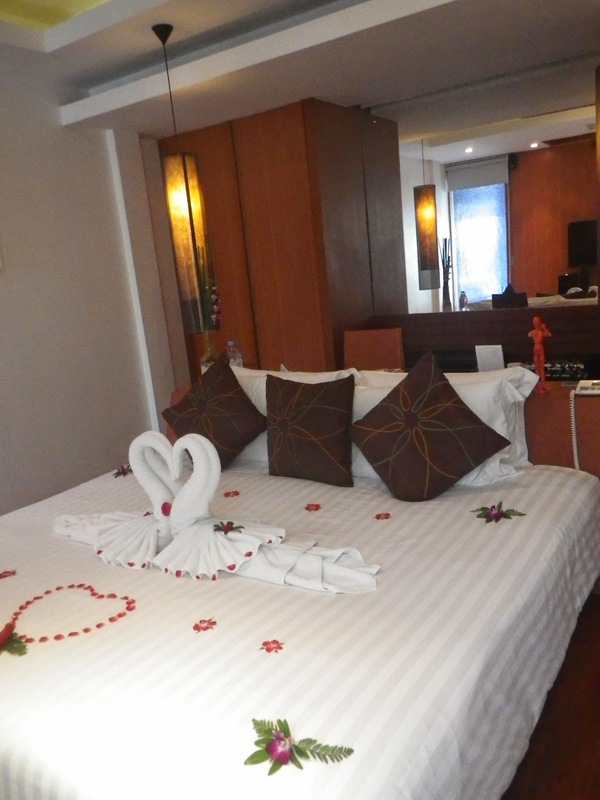 La Flora Resort is located right in the heart of Patong area in Phuket. 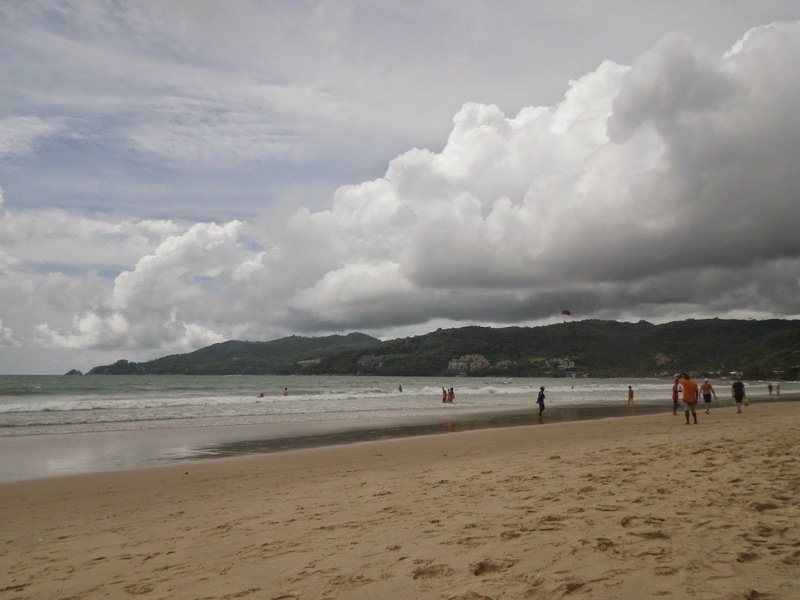 Patong, being the centre of all tourist activities on this island of Thailand. 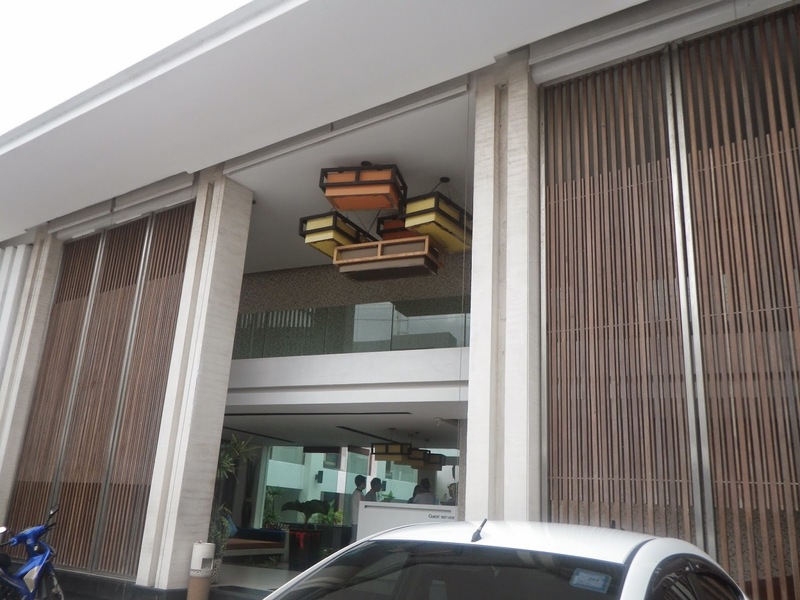 The resort is within mere minutes walk from Bangla street and Jungceylon Shopping mall. 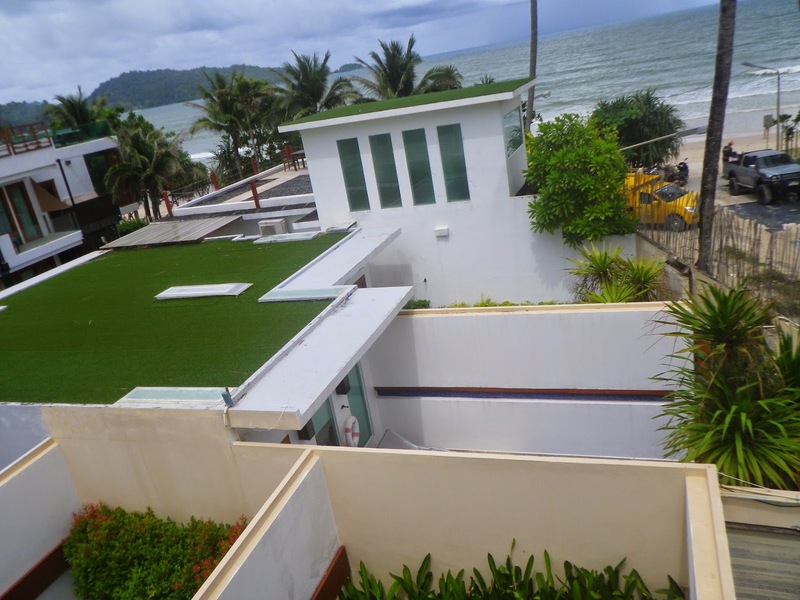 The resort is also located right at the doorstep on the northern part of Patong Beach, despite being a little further from the actions on the beach, one will also be able to catch actions and fun on the beach. 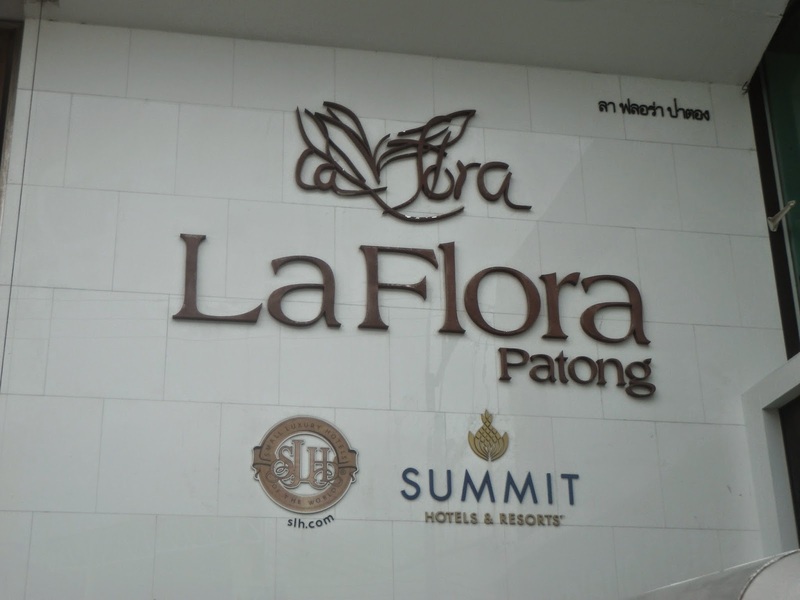 La Flora’s convenient location where one can find the shopping and highlights on Patong and the beach, makes it a location to be sought after whilst staying in Phuket. I was upgraded to a pool villa by the good people of the resort. After checking in, I was escorted to the villa. The villa can be divided into 3 sections: the bedroom, the toilet and the backyard. Upon entering the villa, a contemporary designed bedroom greeted us. There is a space right by the entrance of the villa where one can find a long study desk. The desk a tad too narrow for one to stow things. 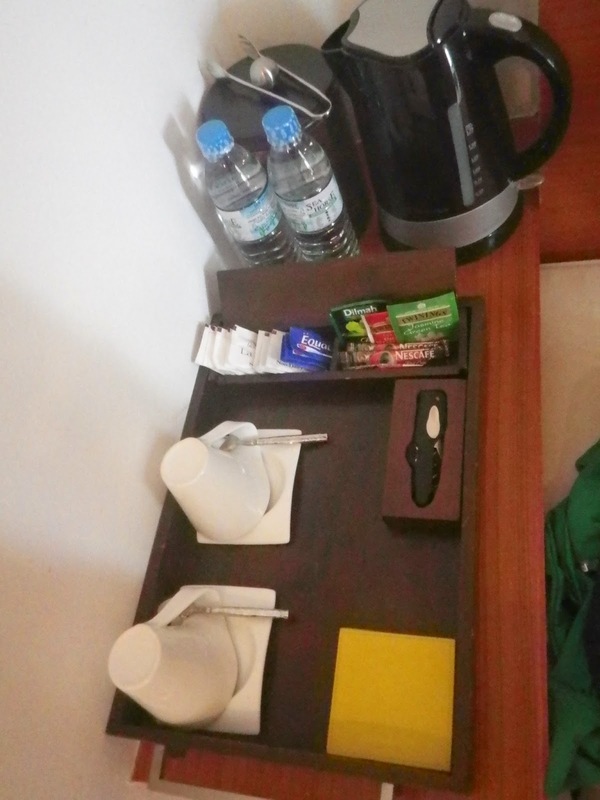 There are a number of standard items being placed on this desk, which gives little space for one to put their stuffs. During turn down in the evenings, the staffs would place 2 small bottles of mineral water on this table. There are a few cabinets below the study table, which provides additional space for one to stow one’s stuffs. Right behind the study table is a ledge for one to stow one’s luggage. This space is large enough to stow 2 cabin size luggage. Below this ledge is a couple of drawers for one to put away more stuffs. A wardrobe is found right next to this ledge, nicely tucked in a convenient yet non-intrusive location in the villa. The wardrobe is large enough to store a few days of clothing for 2. 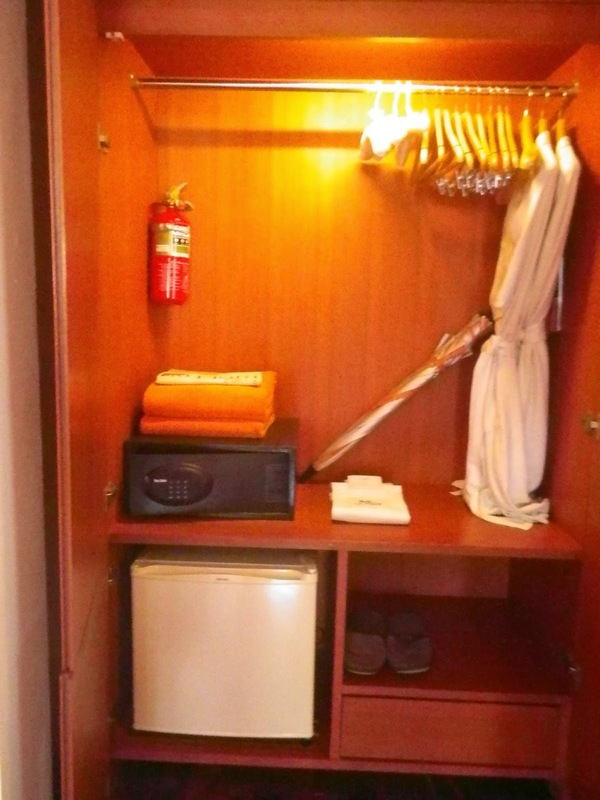 This is where one would find the mini fridge nicely tucked into the wardrobe, providing guests with complementary drinks to quench their thirst. On the left of the entrance of the room is a couch for one to relax onto or to entertain guests. 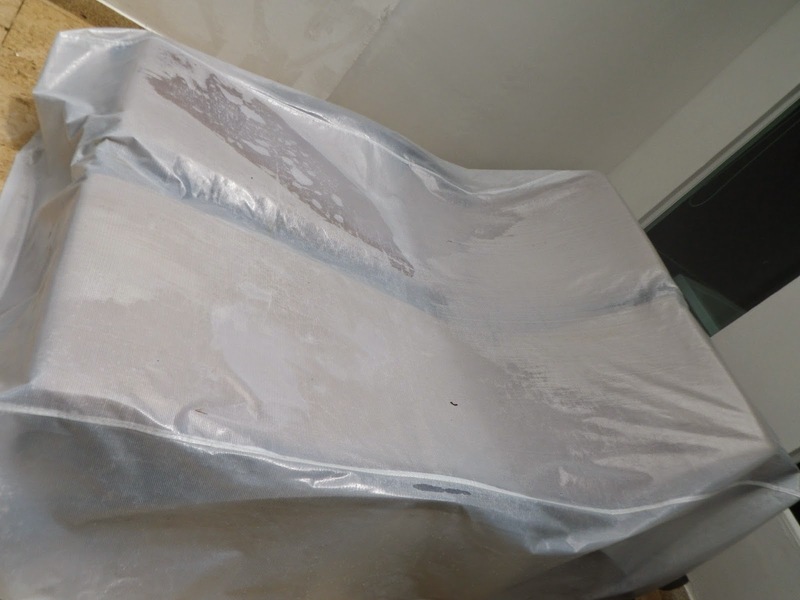 On the 2 sides of this couch, are table top worked onto as a composite unit of the couch. Here is where one can find coffee and electric kettles. 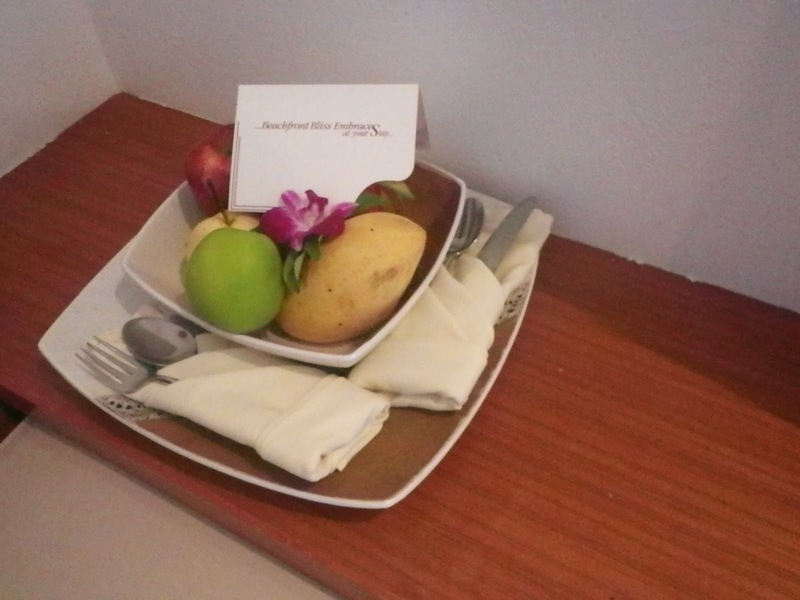 On the other end of the couch is where the resort placed a plate of complementary tropical fruits to welcome guests. The centrepiece of this part of the villa gotta be the oversized king bed. The bed is located in front of the study desk, using the study desk as the head board for the bed. The bed is neither too soft nor to hard to sleep on. Coupled with the comfortable bedsheets, one can be reassured of a good night sleep on the bed. The bed comes with 4 pillows, however the pillows are a tad too soft for my liking. 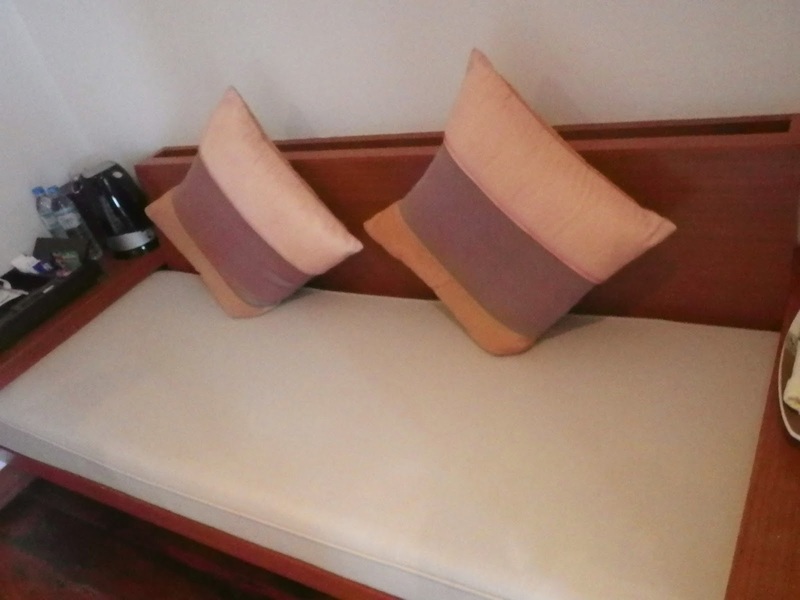 One can always request for additional pillows from the resort, which they promptly delivered to the villa with a smile. In front of the bed is the LED TV. There is no connections to the TV from anywhere in the villa. One would have to plug their computers directly to the rear of the TV. There are, however, no lack of TV programs. One can either choose to watch the local TV channels or the documentary channels such as National Geographic or Discovery Channels, or choose from the library of movies the resort provided in room at no additional charges. The TV is hooked onto a hard disk drive where the movies are located. Onward to the second section of the villa is the bathroom area. From the bedroom, one can walk right into a corridor where the dual sinks are located. This means that there will be no fighting over the sinks in the morning. 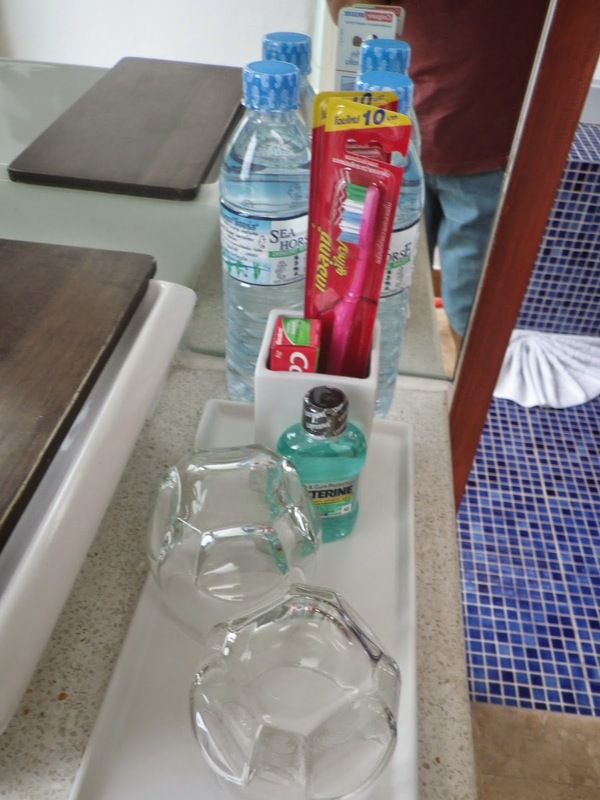 The large sinks are placed on the counter top where one will be able to stow their toiletries. However, as with the study desk, the counter top is a tad too small, but still sufficient to put facial products. There is a cloth hanger for one to place their towels in this part of the toilet area. Between the 2 sinks is the entrance to the shower and toilet area. 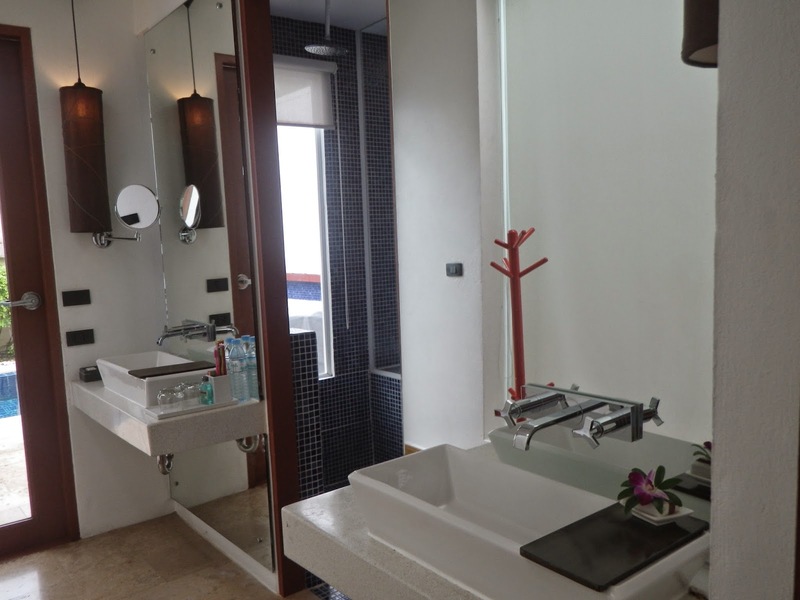 Upon entering this part of the villa, the blue bathroom opens up to a standing shower area to the left, featuring both a rain shower and a standard shower head. The shower looks into the back yard and provided a lot of natural light into the villa. I used the standard shower head most of the time as the rain shower seem to be suffering from a lack of maintenance. The water flow from the rain shower is in consistent and seem to be weaker then the standard shower head. To the right of the entrance is where one can find the standard toilet bowl. Further into the bathroom is where one can find a jacuzzi tub. the tub faces the back yard for one to relax into while soaking. 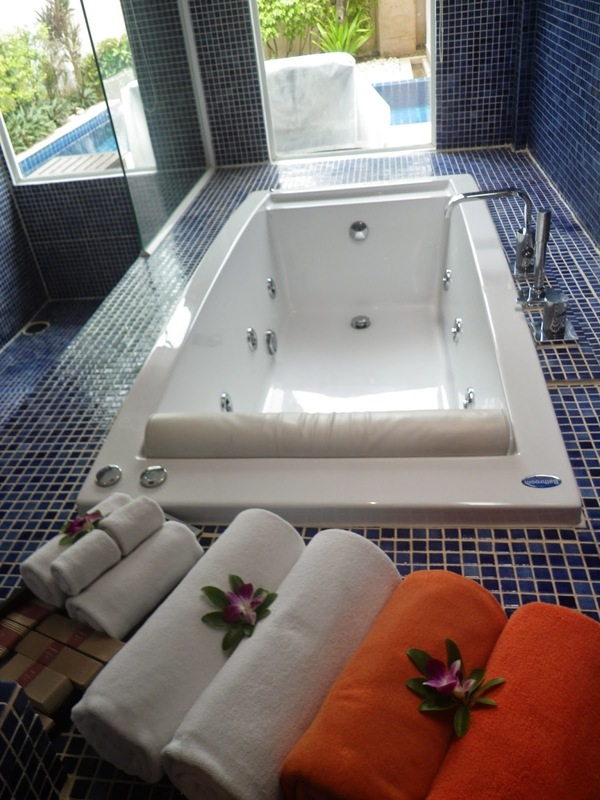 The pressure of the jacuzzi nozzles is in good shape, and can provide guests with a well deserved water jet massage after along day on the beach or just walking around Patong area. Further onto the corridor where the sinks are located in the bathroom is the back door which leads to the back yard. 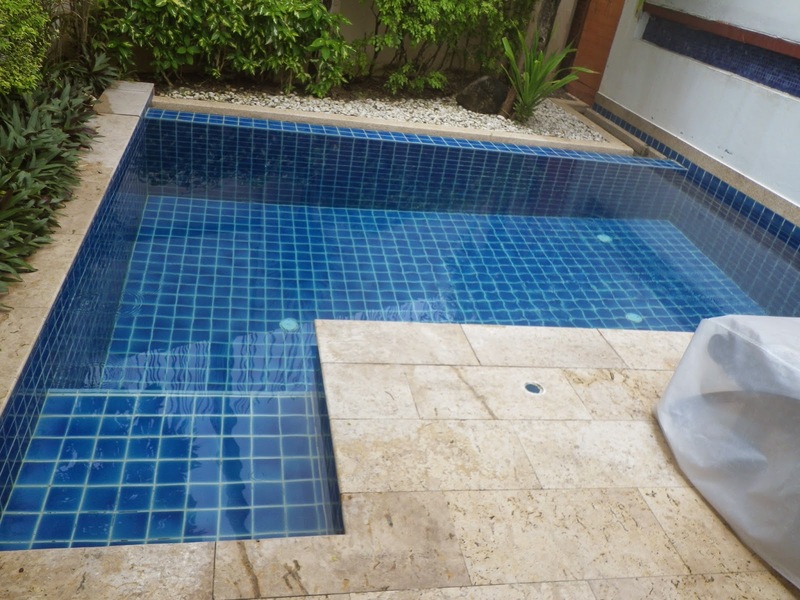 This is where one can find the private plunge pool and a couple of tanning chairs. The plunge pool is a tad too small for one to get a decent swim, but large enough for one to plunge and soak by the pool. This pool, despite the size, is deeper then the ones one would find outside the villa. The enclosed backyard ensures guests receives maximum privacy in the back yard. The back yard is also lightly decorated with some plants, giving guests a relaxing feel. However the placement and the orientation of the pool does not allow one to receive sufficient sunlight for a decent tan. The villa, whist great, lacks power points for one to charge their electronic gadgets. There are limited powerpoint outlets throughout the villa. 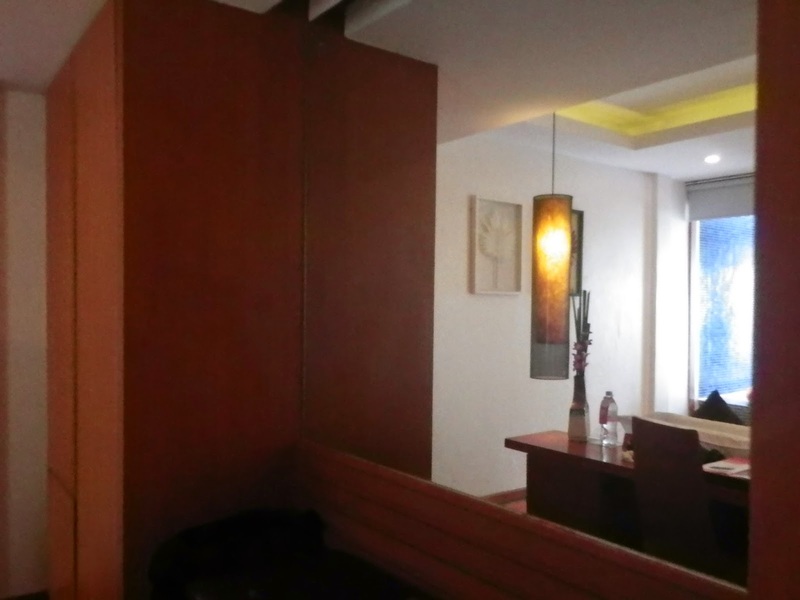 The powerpoints are located in in conspicuous places which can proof to be inconvenient for guests to accessed to. There are also lack of table top spaces in the villa for one to place their stuffs within reach. One would have to stow away their stuffs in the cabinets. There are 2 lap pools within the resort grounds. One of them is the normal pool, where one can enjoy a swim without much obstructions. The other pool (located just outside our villa), is of the same length as the first pool. Here is where can find a few tanning chairs and a non-functioning jacuzzi. 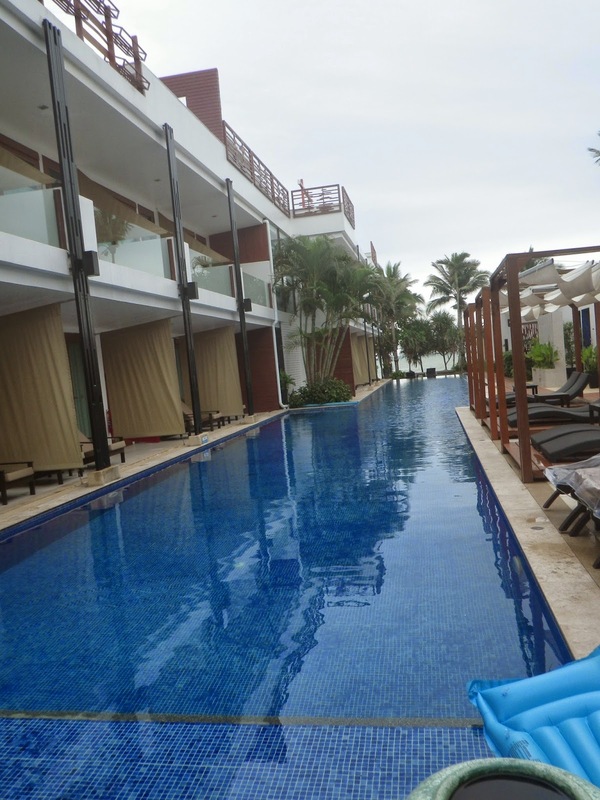 There are pool access rooms located on the sides of both pools. Despite the lack of tanning chairs by the pool, there are a few more scattered on the resort grounds. The resort provides towels for guests who opted to tan on the beach, which is on the back yard of the resort. The staffs in the resort was very welcoming. I was greeted with the widest smile upon arrival at the hotel for checking in. The staff ensured that guests have great experience from the point of check in to the point of check out. Welcome drinks and cool towels were presented to guests upon arrival. While another staff processed my checking in with speed. I did not have to wait for too long for my check in to be completed. 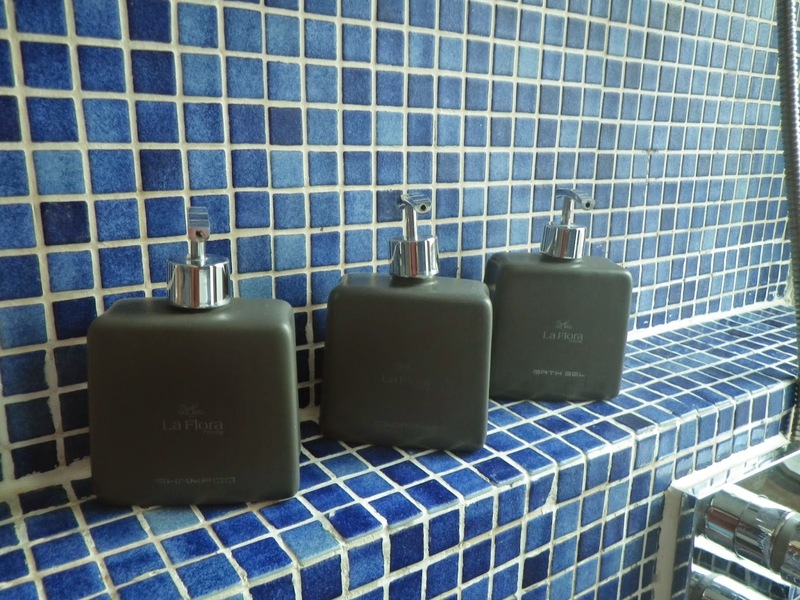 Upon arrival, staffs were seen sprung into well oiled actions to ensure guests feel comfortable and everything is taken care of, including luggage. 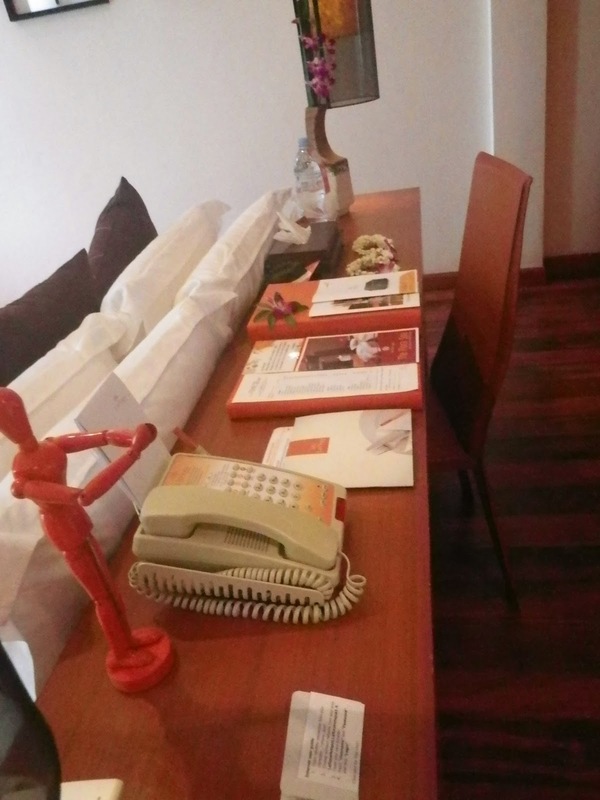 The staffs would engaged in conversations with guests to see how well their day has been exploring around Phuket every time I walked by the reception. Wais were seen on every staff given to guests walking by the reception. 2 staffs came to our villa during evening turn down and their speed of turning down is remarkable. I was a the resort spa exploring the resort and the staffs, despite knowing my intention was not for the spa service, still greeted me and engaged in a conversation with me. This shows that the staffs on the resort know exactly what service is and what it takes to be service oriented. 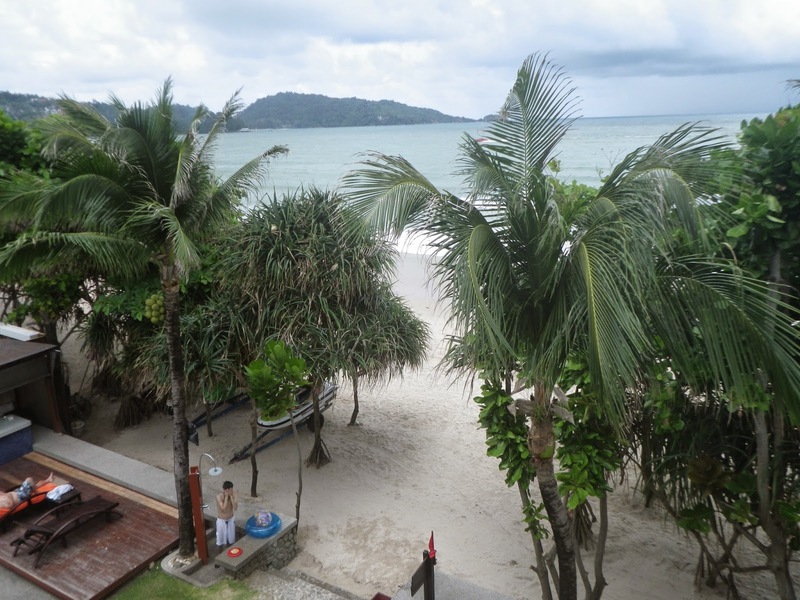 The staffs even provided valuable information on the Patong area and Phuket and how to maximise my time in Phuket. 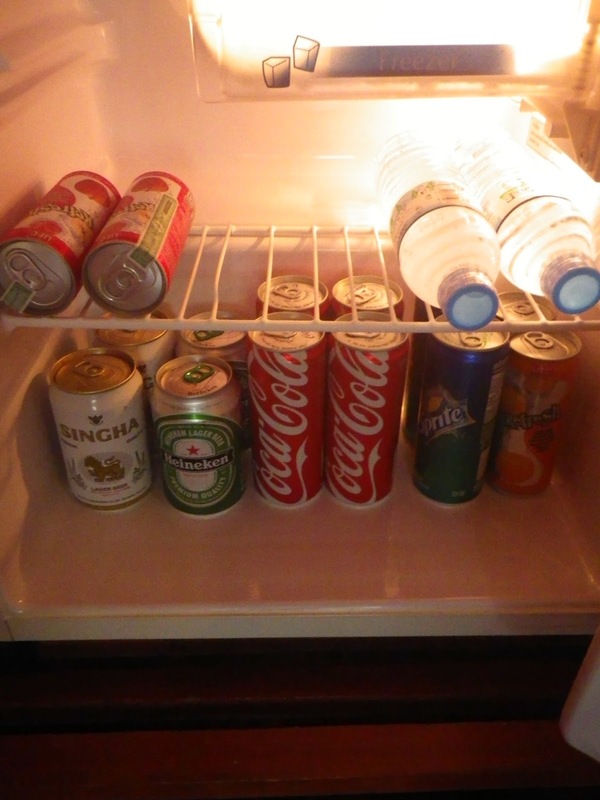 The staffs also ensured that the villa is being cleaned every single day and amenities are being topped up every single day, including the drinks in the fridge. There was an instance where I had to go through the restaurant due to the rain, the staffs at the restaurant, despite knowing I was just trespassing, showed me the way to my villa and even offered umbrella to shelter me from the rain. I was promptly welcomed every single morning at the restaurant for breakfast. Check out is equally efficient and I was given a room for shower before heading to the airport. The hotel staff helped me with my luggage to the room they assigned me for shower. The resort even arranged a complementary transfer to the airport in a Mercedes for my trip home. 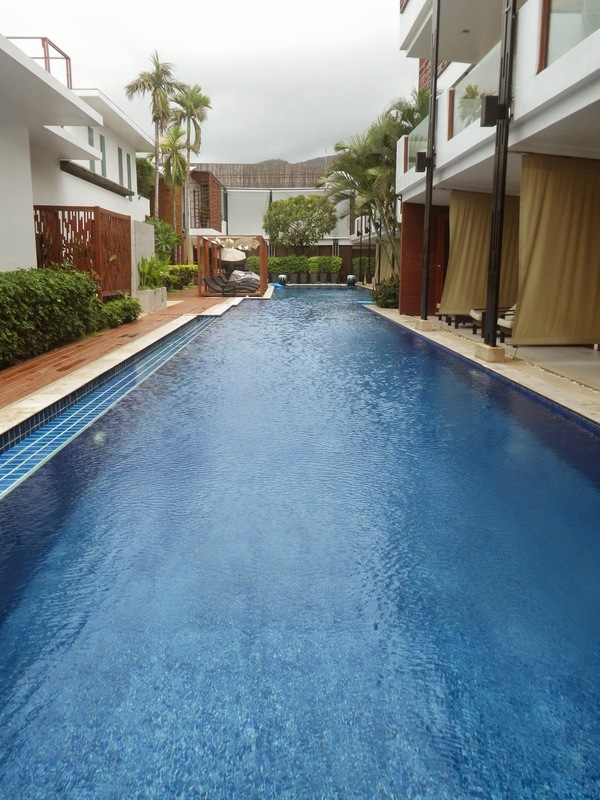 The resort is the place to be whilst in Phuket. 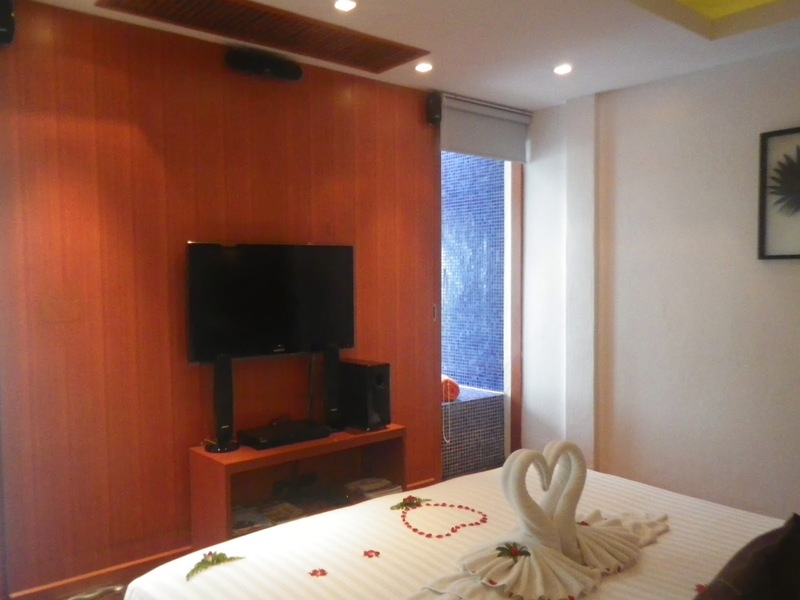 It offered the best of both worlds, close to the proximity of shopping and allowed guests to relax close to the beach. I had a very comfortable stay in the resort, though more can be done in terms of the infrastructure in the villa. It is tough to find fault with the service rendered in the villa, with very single staff understanding what service is all about and offering guests the biggest smile they can give. 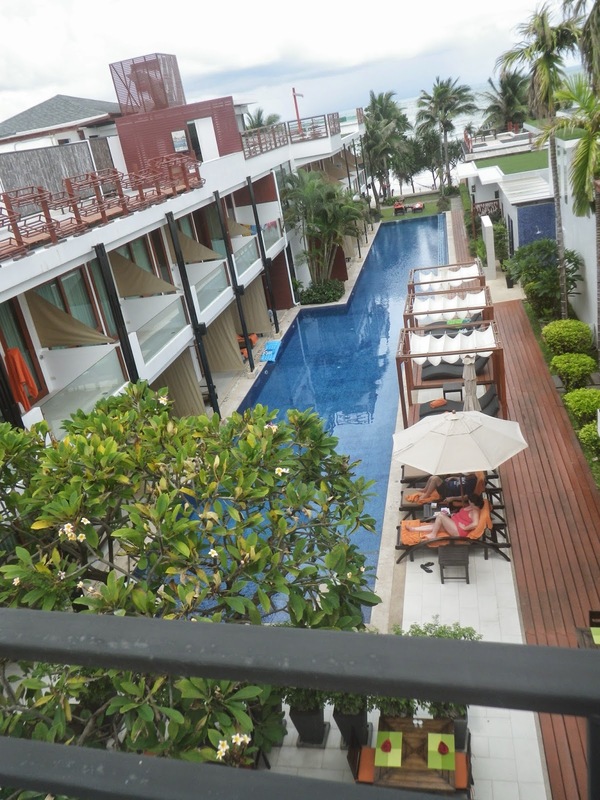 I would recommend staying in this resort for trips to Phuket.